Product Archives - HexByte Inc. The new UI reminds users which Google Account is signed in. Importantly, this allows us to better help users who share a single device (for example, a family computer). Over the years, we’ve received feedback from users on shared devices that they were confused about Chrome’s sign-in state. 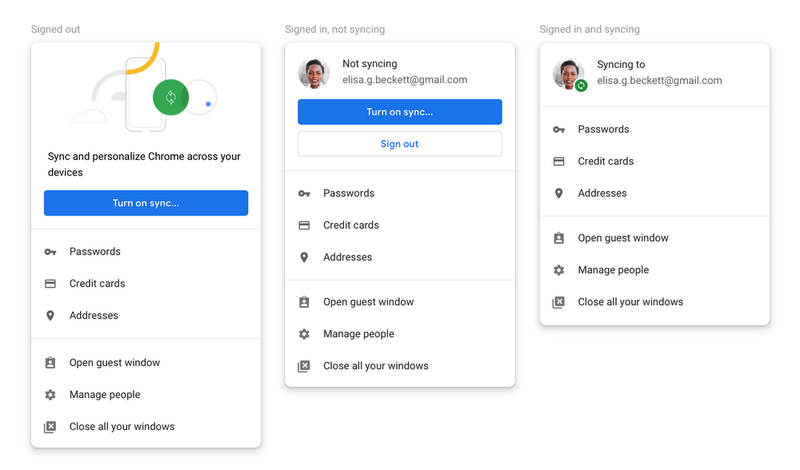 We think these UI changes help prevent users from inadvertently performing searches or navigating to websites that could be saved to a different user’s synced account. We’ve heard—and appreciate—your feedback. We’re going to make a few updates in the next release of Chrome (Version 70, released mid-October) to better communicate our changes and offer more control over the experience. We’re updating our UIs to better communicate a user’s sync state. We want to be clearer about your sign-in state and whether or not you’re syncing data to your Google Account. We’re also going to change the way we handle the clearing of auth cookies. In the current version of Chrome, we keep the Google auth cookies to allow you to stay signed in after cookies are cleared. We will change this behavior that so all cookies are deleted and you will be signed out. We deeply appreciate all of the passionate users who have engaged with us on this. Chrome is a diverse, worldwide community, and we’re lucky to have users who care as much as you do. Keep the feedback coming.